It has been a half a century since Highway 61 Revisted by released on Columbia Records. At that time I had just returned from Wel-Met Camp's western trip. I had just heard Like a Rolling Stone on WABC and WMCA. I bought the single shortly after hearing it, but didn't buy the album for several months since I had to save up my allowance money. It was the first CD that I bought in 1984 when I got my first CD player. It seems that the Met bats cooled off once the road trip ended. The pitching was excellent as 4 pitchers including Jacob de Grom stuck out 16 Red Sox, Bartolo Colon came in to pitch one inning in relief in what could be his role in the postseason. But what good does excellent pitching do when the team just can not hit. Fans coming today got a bobblehead of Jesse Orosco celebrating the victory in the 7th game of the World Series against the Red Sox. It used to be the everyone would get one, but now the team states that only the first 15,000 fans get one. We arrived at the stadium at 3:15 for a 4:00 start figuring we would get one, but they were all gone. Apparently only the people who arrived at 2:00 when the gates opened got one. Well, I have plenty of bobbleheads at home from previous seasons. I must repeat myself at the risk of being crude, sometimes the best trades are the ones that you don't make. The statistics above tell the story. 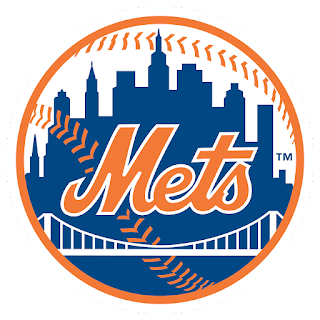 Since I have a 10 ticket plan for Citfifield I received an e-mail from the Mets stating that from September 2 to September 4 I will have the opportunity to buy tickets for the postseason. It obviously did not say how much the tickets will cost. I am guessing that they will be at least $75 per ticket. There are 3 rounds: Division series; League Championship Series; World Series. They will likely require that you buy an entire strip for the maximum number games the Mets will play if they reach the World Series. I'll have to decide what I will do next week. This was the answer for a question I saw today on Who Wants to Be a Millionaire. Paul McCartney says Let it Be 36 times. Does anyone want to listen very carefully and verify that? I heard this about 50 years ago when I bought the album The Rolling Stones 12 X 5. I just heard it again today on Brian Matthew's Sounds of the 60s. This is the early Rolling Stones at their finest. The ball really flies at Coors Field in Denver, but Yoenis Cespedes put on a clinic last night as he hit 3 home runs with 7 RBIs in a 14-9 victory over the Rockies. 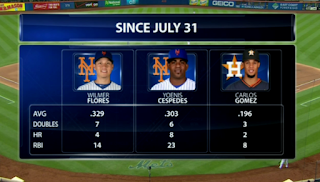 Travis d'Arnaud and Michael Conforto also homered for the Mets. They are currently 5 games ahead in the National League East with 41 games to play. 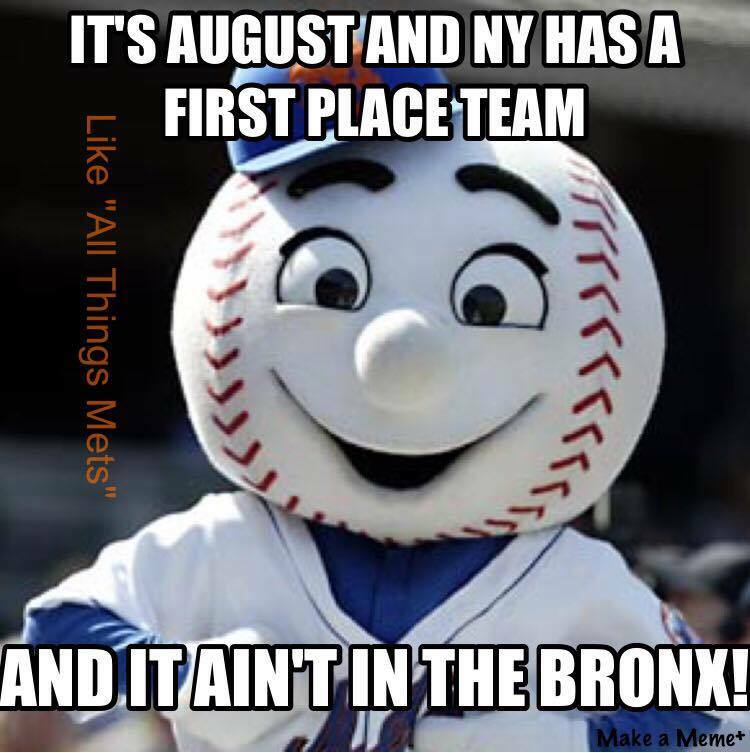 This season reminds me of 1985 when the Mets got their act together, but fell a little short. I think that barring a collapse the Mets should take the division, but after what happened in 2007 and 2008 I can't count my chickens until they hatch. It will be very tough to get by the Cardinals or the Dodgers in the division series. By next year the team should be more mature, but to dominate the division and move ahead in the playoffs they must sign Yoenis Cespedes as they signed Mike Piazza in 1999, Will 2016 be like 1986? Only time will tell. I fondly remember FM radio in the 1960s and 1970s before the consultants took them over. 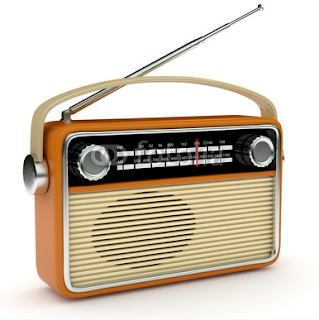 I welcome readers of Bruce's Journal to listen to this 6 minute scan of the FM dial that was posted by Bernie Wagenblast who works as a traffic reporter for 1010 WINS. I had the pleasure of meeting Bernie at the first Oldies Meet and Greet in 2006. A few years ago he sent me an audio birthday greeting on Facebook. The Batman TV series of 1966-68 years starring Adam West and Burt Ward was somewhat silly. In the third season Batgirl played by Yvonne Craig was introduced. In her secret identity of Barbara Gordon she was a librarian. Somehow she was able to get off work to turn into Batgirl. Today we found out that Yvonne died at age 78. IMDB biography of Yvonne. ESPN reports that the Mets are hoping that David Wright will return for next week's series at Philadelphia. David has been suffering from spinal stenosis which is a medical condition, not an injury. 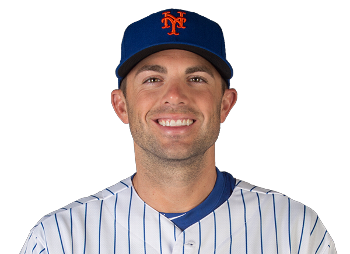 The question is if he can come back and be the David Wright of old. 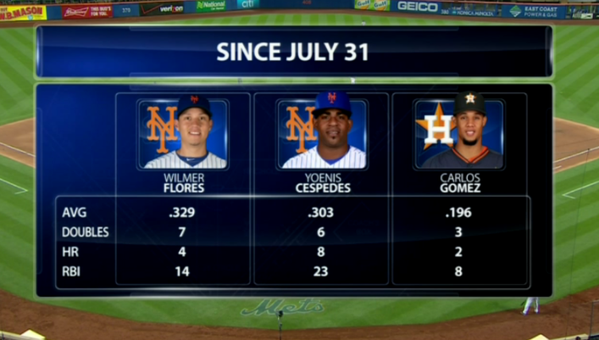 If he can perform well, he can carry the Mets into playoffs. We will have to wait and see. We had tickets for last nights game as part of our 10 game package. Jonathan Niese was the starting pitcher who gave up two home runs to Aramis Ramirez and Gregory Polanco to give the Bucs and early 3-0 lead. Homers to Juan Uribe and Michael Conforto in the 7th inning tied the game which went into extra innings. The Pirates won the game in the 14th inning with RBI singles by Chris Stewart and Sean Rodriguez. These extra inning games really wear out a pitching staff. As I stated in yesterday's entry the game was played on 50th anniversary of the Beatles concert at Shea Stadium. There was no Beatles tribute group outside the stadium by music by the Fab Four was played during the Kiss Cam segment. On August 15, 1965 the Beatles played at Shea Stadium. It was likely impossible to hear the music as most of the kids that went to the concert just wanted to hear the Fab 4. Anyway, tonight we are going to Shea's successor Citifield to see the Mets play the Pitsburgh Pirates. Tonight the rap group Ne-Yo will be performing after the game. I think it would have made sense for a Beatles tribute band to play. I remember that last season Strawberry Fields, a tribute group played outside of Citifield before a game. Maybe that will happen tonight. There are markers in the Citifield parking lot where the bases at Shea Stadium were. It would be a good idea for Beatles fans to gather at second base to remember the concert. Today Karen and I made our yearly trip to the Jewish Museum at 5th Avenue and 92nd Street. We went specifically to see the exhibit called Revolution of the Eye: Modern Art and the Birth of American Television. The exhibit explored how avant-garde art influenced and shaped the look and content of network television in its formative years, from the late 1940s to the mid-1970s. It featured works by Saul Bass, Alexander Calder, Marcel Duchamp, Allan Kaprow, Roy Lichtenstein, Man Ray, Eero Saarinen, Ben Shahn, and Andy Warhol. It was a good exhibit, but should have been placed in the Paley Center for Media instead of the Jewish Museum. I felt that there was some inclusion of Jews in the TV medium, but it was minimal. I still enjoyed it. We also explored the permanent exhibits of the museum. Twice each summer the Mets schedule a game to start at 12 noon to accommodate day camps who want to take their kids to the game. Since I am off from work this week, I decided to go to the game featuring Noah Syndergaard as the starting pitcher. The Amazins fell behind 2-0 with home runs by LeMahieu and Arenado in the first inning, but after that Noah settled down and the Met hitting came to life with home runs by Curtis Granderson, Kelly Johnson, and Juan Lagares. The only thing I didn't like was the overmanaging by Rockies manager Walt Weiss. In the bottom of the eight inning trailing 12-3 he changed the pitcher with two outs. Likewise in the top of the ninth inning with two outs still trailing by 9 runs he sends in a pinch hitter. I met radio enthusiast Ken Dulberg at the game. No other Facebook friends were there. You know the old saying "Everybody talks about the weather, but nobody does anything about it." The weather forecast was correct as it rained very hard this morning. I watched the Today Show with Lee until 7:30 and then went online until 9 AM. I decided to finish reading the Sunday New York Times on Tuesday. I checked the movie listings and saw the movie "The Gift" was playing at the local mult0lex so Karen and I walked over there as the rain had at least tapered off by 11 AM. By the time we left the theater the rain had stopped, but I think there is a threat for one more round of showers in the late afternoon. We stopped by Dunkin' Donuts to take in a snack and walked home. I turned on WFAN and later WABC where the topic of the day was the fight involving Jet quarterback Geno Smith. It is a shame that professional atheletes who make millions of dollars have to behave like children. Right now I am listening to Deep Tracks on SiriusXM. The weather forecast for the rest of the week is good, so I guess I can't complain. 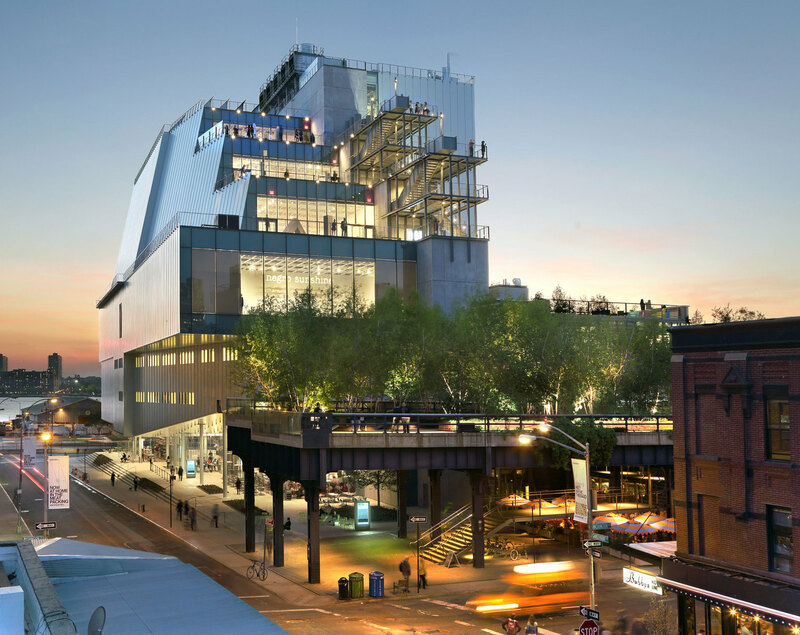 About once a year Karen and I go to the Whitney Museum which was located on Madison Avenue and 75th Street, Today we visited the museum at its new location at 99 Gansevoort Street in the Meat Packing District. We took the subway to 8th Avenue and 14th Street and walk west to the Highline and then south one block to the new location. It was absolutely beautiful both inside and out. It opened on May 1 so it was crowded with people wanting to see the new building. The opening exhibit is called "America is Hard to See." This exhibit examines American art from the begining of the 20th century till today. It includes over 600 works in various formats that elaborates on the themes, ideas, beliefs, and passions that have galvanized American artists. It was a good way to spend a staycation day. Yesterday I received a friend request from David Berson whom I knew way back in P.S. 139. I hadn't thought about him very much over the years, but I am pleased he took the initiative to reconnect with me. I recall a little incident from Russell Sage JHS 190 when Mr. Seligsohn, the social studies teacher said "David Berson son of Ber." I don't remember David at all from Forest Hill High School. I sent him a link to my journal entry about growing up in Rego Park. David asked if I knew anything about Philip Kart. If I remember correctly David and Phil lived in the same building on Booth Street and 64th Road. I did Google Phil and was just able to find out that he lives in South Florida. 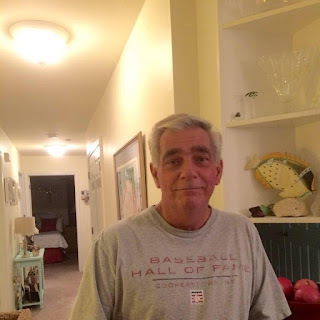 David's Facebook account states that he is retired and living in South Carolina. I wish him well. 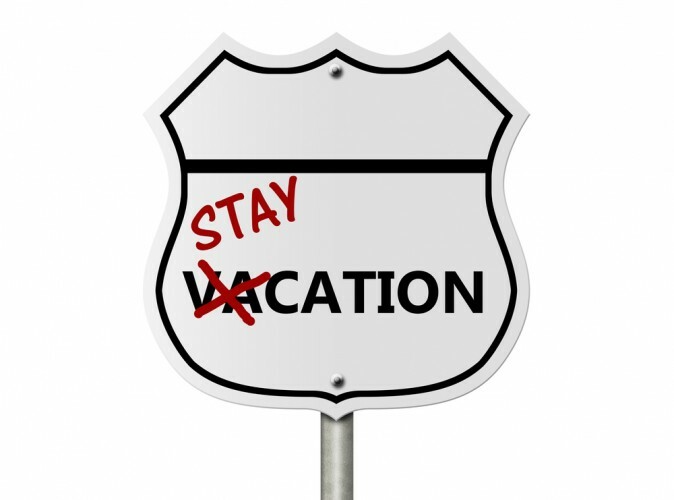 An advantage of working for a university is that one gets 20 vacation days and 3 personal days a year. I don't do much traveling so that I spend much of that time taking it easy at home. I always feel that if I have the time I may as well take it during the summer when activity at the library is light. I think this time I will make some day trips to museums. Today Karen and I will go to the Paley Center for Media. 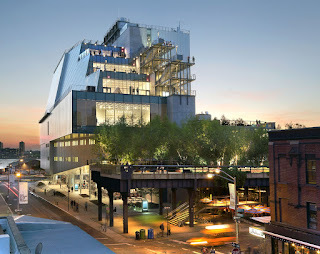 Later on I'd like to see the Whitney Museum at its new location and the Jewish Museum. A few days ago we heard of the passing of Cilla Black at 72. She was an entertainer better known in the UK than in the United States. She was a successful recording artist in the 1960s and 70s and later hosted several TV shows. Her biggest "hit" in the USA was You're My World which peaked nationally at #26. Years ago I bought an LP called the Songs That Lennon and McCartney gave away. One of them was Step Inside Love. I was listening to WBGO this morning when they announced that today is the birthday of jazz trumpeter Louis Armstrong born in 1901. One of these days I am going to have to visit the Louis Armstrong House in nearby Corona where he lived from 1943 until his death in 1971. I have always enjoyed What a Wonderful World that I first heard in the movie Good Morning Vietnam in 1988. I believe that it was recorded in the 1960s but became a hit after it was shown in the film. 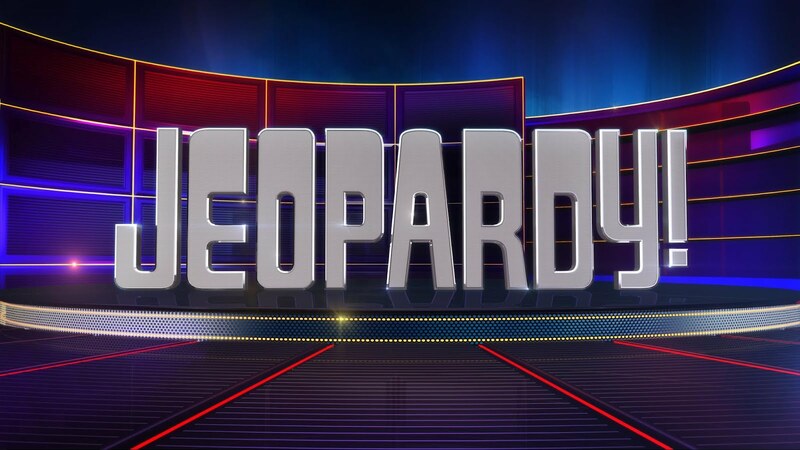 Jeopardy's season ended on Friday with the next 6 weeks being devoted to reruns of tournaments aired during the past year. 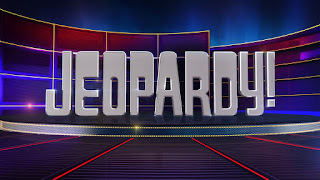 I think I need a break from my favorite quiz show, so we will record Who Wants to Be a Millionaire aired at 2 PM on Channel 7 and watch them at 7 PM until the new Jeopardy season begins on September 14. Will Bob Dylan's Never Ending Tour Come to NYC in 2015? I just checked the 2015 schedule for the Never Ending tour compiled by Bill Pagel. It states that this leg of the tour ends in Milan, Italy on November 22. 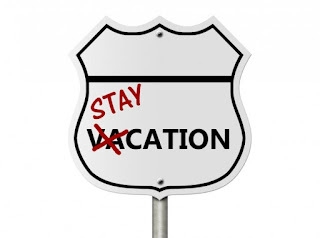 In previous years the tour takes a break in late November or early December. I am hoping that Dylan will do some dates in NYC in early December before the tour takes a break.